When I first looked at debt management solutions, I thought there were about 3 options available: apply for a consolidation loan, pay for debt management to have creditors lower all the interest rates, or file bankruptcy. But it can be a lot more complicated than that and a lot harder to know what options are out there and right for you. One thing that I look for when evaluating a company is how much information they make easily available to you. There are a lot of companies that focus their site on promoting their services and promising results, but you need to contact them in order to get any relevant information. Non-Profit Debt Management Plan–You may also have heard of this as a credit counseling program or a debt consolidation program. The way this usually works is that the non-profit agency would contact your creditors and have your interest rate lowered or eliminated. Then you would make one payment to the agency and they then paid the creditors. For this service you would pay a fee to the credit counseling agency. Nowadays, however, many creditors are unwilling to reduce the interest rate substantially or not at all, and you can be kicked out of the program with just one late or missed payment. In addition, your credit report shows a 3rd party paying your debts, and your credit rating could reflect the same status as if you had a Chapter 13 bankruptcy. Unsecured Loan for Debt Consolidation–Getting this type of loan and only making one payment can be very appealing to those who are trying to pay multiple bills, such as credit cards and personal loans. However, even if your credit rating is still in good standing, lenders will look at your credit worthiness, which is basically your ability to pay. Having high debt reduces your credit worthiness, and you’ll likely have to pay a very high interest rate in addition to loan origination fees. The total amount you pay over the life of the loan can be much greater than the amount you borrowed. 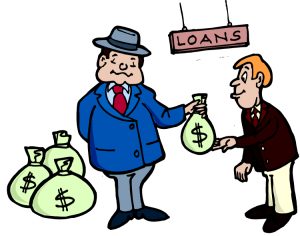 Secured Loan for Debt Consoliation–In order to get a better interest rate for debt consolidation, you could take out a secured loan, which is backed with collateral, such as your home equity. Lenders are happy to tell you that this is a great way to eliminate debt, but in reality, it can be a bad mistake. The additional fees and longer life of the loan mean that you’ll pay back way more than you borrowed. 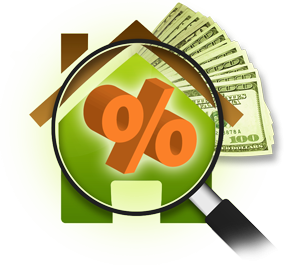 And the most important thing to consider is that now you’ve taken on the risk of losing your home if you have further financial problems that cause you to default. 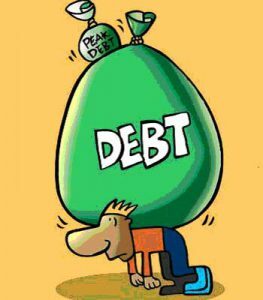 Debt Settlement--Also known as debt negotiation, I thought that this was just another term for the type of debt management plan used by non-profit credit agencies. No, it is a process that takes into account the age and type of debt, your income, the state you live in, your age, and many other factors. This information is used to find a solution to your debt problem that saves as much money as possible in as quick a time as possible. For most people, this is the option that will be most beneficial. Debt settlement is what CuraDebt specializes in. Their experts have what they call “an in-house performance based debt settlement program”. They work with each creditor individually to settle the amount owed in a way that is acceptable to both you and the creditor. The negotiations team has years of experience, and they know how to work with each and every creditor to get you the maximum savings. The details are sent to you, and if you approve of the settlement, the account is considered settled in full. Only after your approval does CuraDebt get paid their fee. The negotiators work this process on each creditor, and you’ll get to approve each one. Once the debt settlement program begins, you will place an amount that you both have agreed upon into a special purpose account monthly. 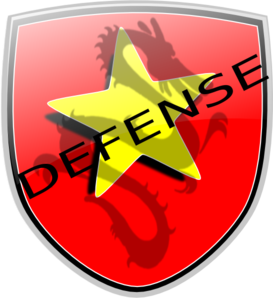 Then CuraDebt starts working another feature that they have integrated into the process–Creditor Defense. The CuraDebt team uses their expert knowledge of the debt collection laws to identify any violations on the part of the creditors or collectors. Any violations found will be pursued for your benefit. At times, they have been able to win complete dismissals of the debt and/or cash awards for their clients. They make no promises that this will happen, but they vigorously work the process every step of the way. This is the kind of advantage that CuraDebt’s clients will have over someone trying to work with the creditors themselves. Having unpaid tax debt is not only stressful, it can be actually scary. The IRS and your state taxing authority have collection abilities that other creditors don’t. They can garnish wages, put a lien on your bank accounts, and seize property such as your home, car, boat, or other assets. If you have a dispute with the IRS, you need someone experienced on your side who knows the tax laws and knows how to investigate and represent you. I would have every confidence in contacting CuraDebt to find out how they could help. Top Consumer Reviews is a consumer watchdog and review site. 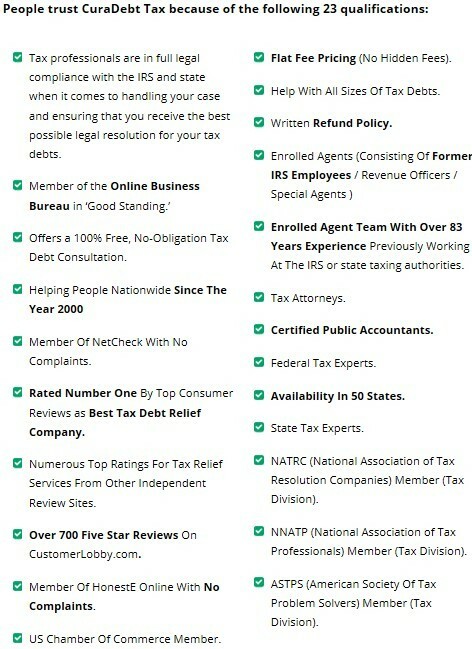 CuraDebt has been rated #1 or in the top two tax debt relief and debt settlement companies every year since 2009. No other debt settlement or tax relief company has earned this achievement. 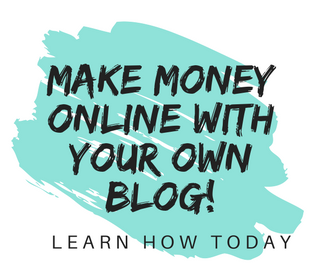 Online Business Bureau has one of the most reputable nationwide rating systems that rank online companies. They allow you to investigate whether debt settlement companies are effective at upholding their promises and if they are legitimate debt relief negotiators. The feedback online for CuraDebt is only positive at the Online Business Bureau. If a company is not a member in good standing at OBB, that should be a red flag for anyone wanting debt relief services. HONESTe Online is a business rating and certification bureau that ensures honesty and integrity of debt settlement companies. CuraDebt is certified by this bureau. AFCC is the largest and oldest association of debt relief companies. It’s members have to follow a rigorous set of requirements through a continuous review process in order to maintain their membership. CuraDebt is a member in good standing. The International Association of Professional Debt Arbitrators has created guidelines for evaluating debt settlement companies and for the training their employees receive. CuraDebt adheres to those guidelines and gives extensive training to all new employees before they speak with customers. US Chamber of Commerce has CuraDebt listed as one of the top debt settlement companies and a member in good standing. It’s obvious that CuraDebt works hard to maintain its reputation so that customers can trust that they’re dealing with a legitimate company. In an industry where a company is getting all of someone’s information to help them survive financially, these certifications are extremely positive for the legitimacy of this company. No matter how many certifications a company has, their customers have the ultimate say in the experience they’ve had with them. It’s impressive that CuraDebt has 700+ 5-Star reviews with zero complaints on the ConsumerLobby review site. On Shopper Approved, one of the largest and most reputable review sites online, has CuraDebt listed as a 4.9 stars out of 5 with no complaints. Here at Build Your Early Retirement we give CuraDebt a 4.8 out of 5. We fully recommend this company to anyone who is looking to get their debt situation under control and start sleeping soundly at night again! If you have any questions or comments, please feel free to leave them below! Very good review of the CuraDebt program. I think you covered about everything possible and it sounds like they would be very helpful to someone who needs their services. After reading your review I would recommend this to anyone that needs this service. Thanks for taking the time to comment. Years ago I worked in the payroll department of a large hospital. We received garnishment notifications and had to abide by them and take the money out of employee’s paychecks. I couldn’t believe how much the IRS could take, even for employees with several dependents. I’ve never forgotten that! I’ve never heard of Curabedt before, but this program can be extremely helpful to many people I run into! I never knew there were companies who could help negotiate you out of tax debt. Wow! You learn something new everyday, and this was something very helpful that I learned. Do you typically have payment plans to resolve the debt, or does it typically require a lump sum after the consolidation has taken place? The team at CuraDebt will negotiate the terms of your plan for the best possible outcome for you, but you have the opportunity to approve or reject it. If you get a lump sum and want to include it in your debt settlement, you can. But they will typically give you options as to the best way to use the lump sum to your advantage. It is great that debt settlement can help you and show the account is considered settled in full when you accept their assistance while you pay your debts off. Curadebts awards and certifications are impressive. It would be interesting to see how they compare to other companies though. I’m always scared to trust a company without looking to see how they compare to others. You are right to compare what companies have to offer and be sure that the services are right for you. As I build this site out, I plan to review more debt settlement companies so that the pros and cons of each can be compared. Thank you for commenting, and I hope you stop back again! This is full of useful information for anyone wanting to see what resources are available to get our of debt. 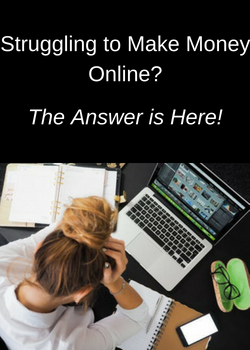 This is a subject matter that requires a lot of attention for those in debt and it can be just as overwhelming to try and find resources to help you with financial problems, and you make this easy. It instills a bit more confidence in what you read when someone has done the reviewing for you.